When I start my online money making life right before clients came, I started with paid blog reviews but since Google is not treating sites well when it found out that it accepts such tasks, I gave the idea. What I did next is to try earning through Google Adsense. I did earn monthly through this but not that much compared to the following methods which are Adsense alternative that can be mixed with it. ClickBank – is a secure online retail outlet for more than 12,000 digital product vendors and 100,000 active affiliate marketers. Through this site, you can earn commissions from any leads or products sold that you promote. Usually it ranges from 50%-75% commission depending on the product. Unlike Adsense, earning is based on how many visitors click on the ads and the cost per click. If you still don’t have an account on ClickBank, you can SIGN-UP HERE. When you earn something from this site, you will be sent with a paycheck or can be set to be sent through wire transfer when you reach a certain threshold (you need to reach a minimum of $100 to receive payment). MarketBay – this is the same with ClickBank. But what I like about this affiliate network is that it got a Paypal payment option aside from the Wire Transfer option in sending their payments. Got a lot of interesting and highly marketable digital products. CPALead – I actually mentioned this earning online method on my previous post. What I like about this one is that you can earn immediately even if your site doesn’t have that much traffic. 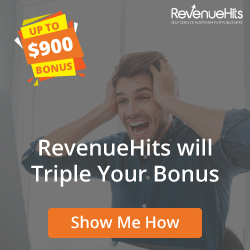 Imagine, what if you have “that much” traffic, earning will be more than (I think times 2 or 3 or more than your Adsense earning. APPLY FOR A CPALEAD ACCOUNT HERE. After you have signed-up with these sites, promote your contents through the use of search engine optimization (SEO), social media optimization (SMO) or just simply make some noise about your site in any way possible that you might want to do. I wonder how long it would take to earn $100 in commissions? I like the whole earning money online through advertising and sharing, but it is also a long process.